Have you ever wondered how long you spend looking at the map during your run? I have never worked it out, but I think it could add up to a significant time. And while looking at the map you are not running (unless you are more skilled than me!). 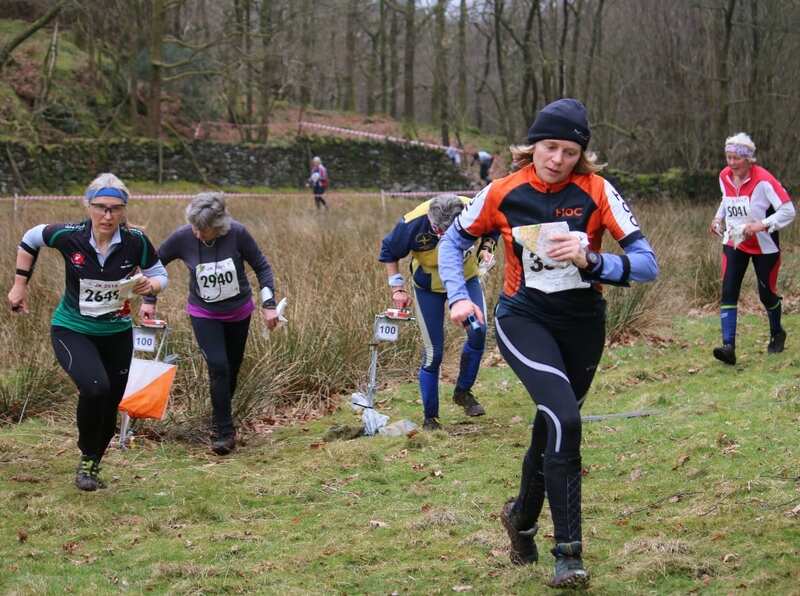 At a Caddihoe Chase, Jeff & I were talking to an elite orienteer who introduced us to this phrase: "Look with purpose". It means every time you look at the map, there must be some benefit. If you only see the detail you saw last time you looked, then what was the point? You would use the time better by not looking and moving instead. This is something I have been working on recently. I noticed that when I get tired I would look at the map more often. Looking at the map was a way of giving myself a breather. Not a good race tactic! In a recent edition of CompassSport magazine, top orienteer Sarah Rollins recalls an exchange with her coach: Coach: "Do you know where you are going?" Sarah: "Yes" Coach: "Then GO FOR IT. COME ON!"